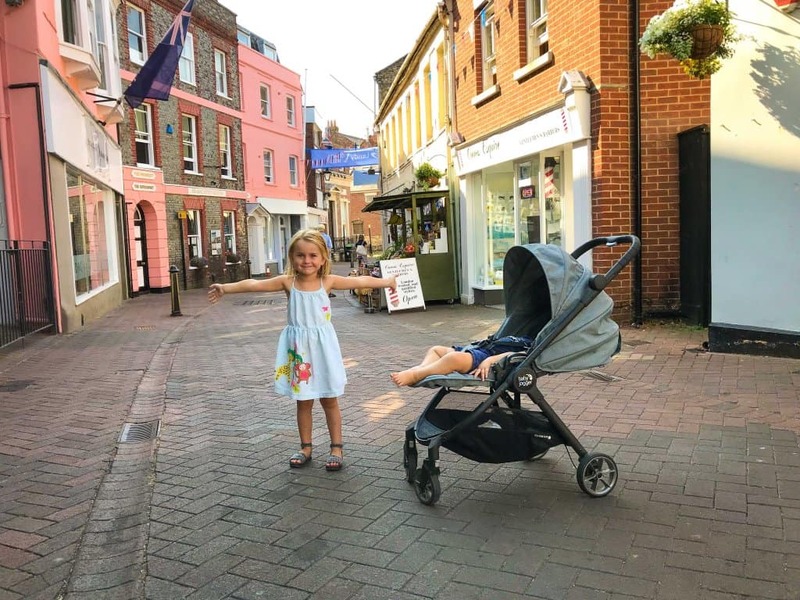 Baby Jogger reached out recently asking us to review their City Tour Lux. As it stands, we always bring one stroller and two carriers when travelling with our two little ones. It all depends on what we are doing! Our nearly four year old hasn’t mastered walking long distances! To be fair, we certainly put her through her paces with the type of travel we do! Likewise, sometimes I just need a break from carrying Quinn who has been the size of a baby elephant from birth. It’s handy to have the stroller for those golden moments of having a sleeping baby during lunch. We’ve been using the same travel stroller for some time now but always open to reviewing different systems. Especially when they are within different prices brackets for our readers benefit. The Baby Jogger comes in at £379.00. It might seem like a lot of money to fork out for this kind of stroller. However, I always look at the longevity of the system. Taking up to a 15 kg child, the City Tour Lux also has an additional carry-cot and can house a car seat. Meaning it can be used from birth! The carry-cot is foldable making it ideal for travelling with little ones. I find the ‘carry-cot stage’ of parenting quite clumsy, especially when turning up to an airport check-in and needing to off load the multiple pieces. Anything that folds flat is a bonus. Talking of folding, the mechanism to collapse the City Tour Lux is super quick and easy. It’s literally a one handed press the button and push down. Doing it one handed is always ‘handy’ (no pun intended) when trying to contain two kids running in opposite directions. Likewise mastering the mechanism was quick and easy. I don’t know how many times I’ve almost kicked a new stroller, standing at the boot of my car, not knowing the ‘knack’. I am happy to report, the City Tour Lux is very easy to master, I didn’t have any mummy tantrums trying to do it. On the first day we took our new wheels for a spin, it was really hot and sunny. 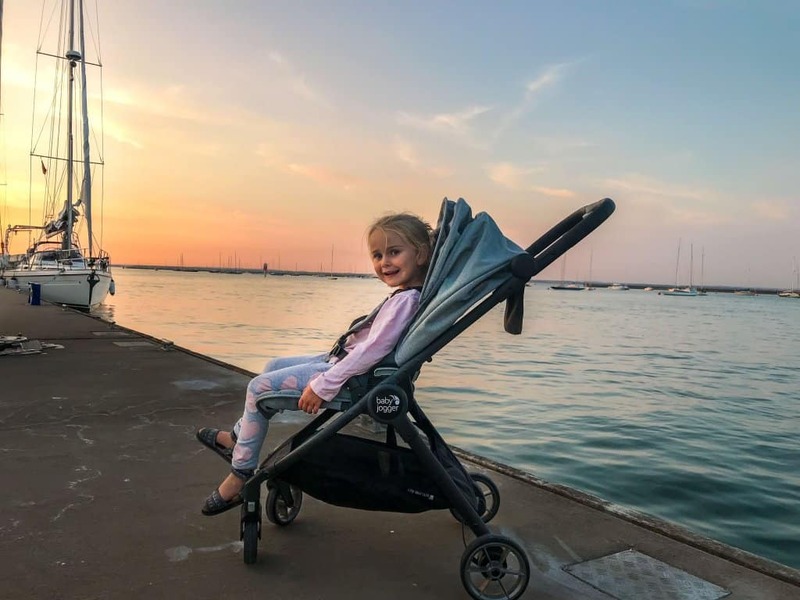 We usually need an extra sunshade for our stroller, but I loved the fact we could have the seat front or rear facing as well as the hood pulling down quite a lot more than other strollers. it gave our little one so much shade, so we didn’t need to use anything additional. Likewise, it took up hardly any space in the boot. It packs very flat and comes with a handy carry bag. It also splits into two parts. I guess that is why it is so flat. in fact, we also took it on a recent overnight sailing trip and it fitted inside the bench that is quite a tight space. Hubby and I are quite tall, so we love when the handle bar is that bit higher. I found it very comfortable to push around from that respect. However the extra length made it feel like it needed some reinforcing when elevating the front wheels to navigate over kerbs. We also took it, both, on and off-roading. The front wheels are either lockable or can spin around fully to navigate different terrains. I personally feel we need a huge big off-road buggy for hiking. You know the ones that have a very big front wheel? I think the City Tour Lux can take some off-roading but nothing too extreme. It glides along otherwise on a normal sidewalk and feels very light to push. We made a trip to the supermarket the other evening to stock up on some sailing essentials. I hate using plastic bags, especially when I forget my reusable ones. I was happy to be able to get the majority of my shopping in the storage compartment. Despite it being full of heavy items, the stroller still pushed really easily on the way back. Our toddler was getting tired at this point. He fell asleep so I lowered the back down. Wow! I was so impressed, it has a completely flat recline. He found it super comfy and slept like a dream. I feel this is the best feature of the City Tour Lux. ANY CRITICISMS OD THE BABY JOGGER CITY TOUR LUX? On the whole we really enjoyed using the Baby Jogger City Tour Lux. I only have one minor criticisms. I’m always interested in the weight and how compact a product is as a travelling mum. We already know it folds very small. However, the City Tour Lux weighs 9kg. My previous travel stroller weighed 6kg. I guess it means its less flimsy and more sturdy? Would I recommend this stroller? The answer is yes. Simply because it’s so versatile from birth to 15 kg child. I love that it can be used five different ways and the shade is amazing for those hot days. 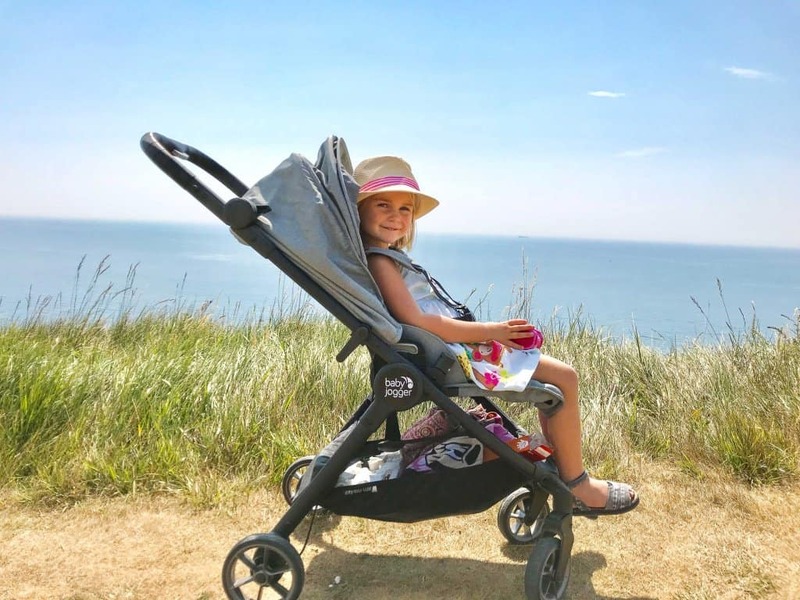 Have you used any of the Baby Jogger products in the past? Leave a comment I love to hear from you. This post is sponsored by Baby Jogger. As always, all views expressed are entirely my own. 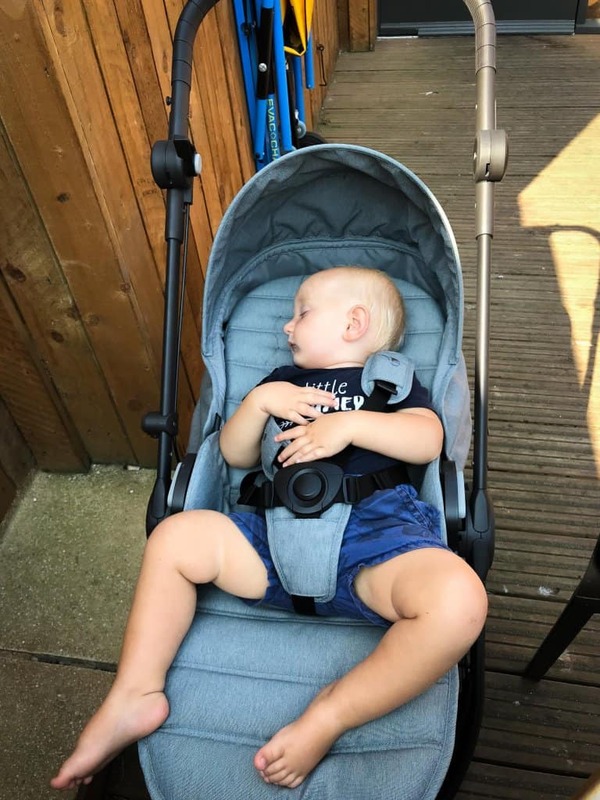 The post BABY JOGGER REVIEW appeared first on Travel mad mum.